at Siladen Resort & Spa, Bunaken, Sulawesi, Indonesia. This workshop will cover aspects of wide angle, close up, macro and advanced lighting techniques in a fun and informative workshop, in the beauty of the heart of the Bunaken National Marine Park. 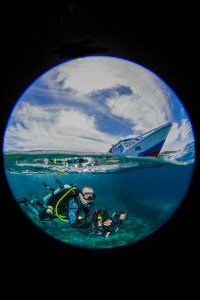 Siladen Resort is a high-end boutique dive resort renowned for it's excellent service, food and dive centre. The price of the workshop starts from £1950.00 pp in a garden view room, based on 2 sharing, full board, internal transfers from Manado airport for Silkair flights, 12 guided boat dives, free wifi, free water tea, coffee and snacks, and the INON UK Workshop for the 7 night option and from £2660.00 pp in a garden view room, based on 2 sharing, full board, internal transfers from Manado airport for Silkair flights, 18 guided boat dives, free wifi, free water, tea, coffee and snacks and the INON UK Workshop for the 9 night option. Upgrades and single supplements are available on request. International flights not included.